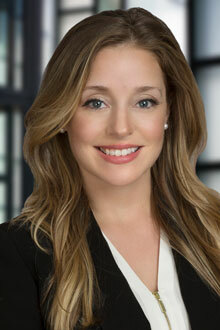 Jessica Beeler is an associate at the San Francisco office of Lewis Brisbois and a member of the Professional Liability Practice. Ms. Beeler has extensive litigation experience and has completed nine criminal jury trials to verdict. Her practice focuses primarily on the defense of attorneys and other professionals, including insurance agents and brokers, accountants, architects, and real estate agents and inspectors. Ms. Beeler began her legal career as a Judicial Research Attorney for the Supreme Court of California. Ms. Beeler also worked as a Legal Research Attorney for the Criminal Division of the Superior Court of California, County of San Francisco. Thereafter, she received four months of trial training at the San Francisco Public Defender's Office, one of the best defense firms in the nation, before opening her own law practice from 2014-2018. During law school, Ms. Beeler served as a judicial extern to the Honorable Teri L. Jackson at the San Francisco Superior Court and to the Honorable William Dorsey at the U.S. Department of Labor, Office of Administrative Law Judges. She also worked as a law clerk for a civil litigation practice focused on employment law matters. “Justice Carter’s Dissent in Takahashi v. Fish & Game Commission: Taking a Stand Against Racial Discrimination,” The Great Dissents of the “Lone Dissenter,” pp.86-96 (Carolina Academic Press 2010).